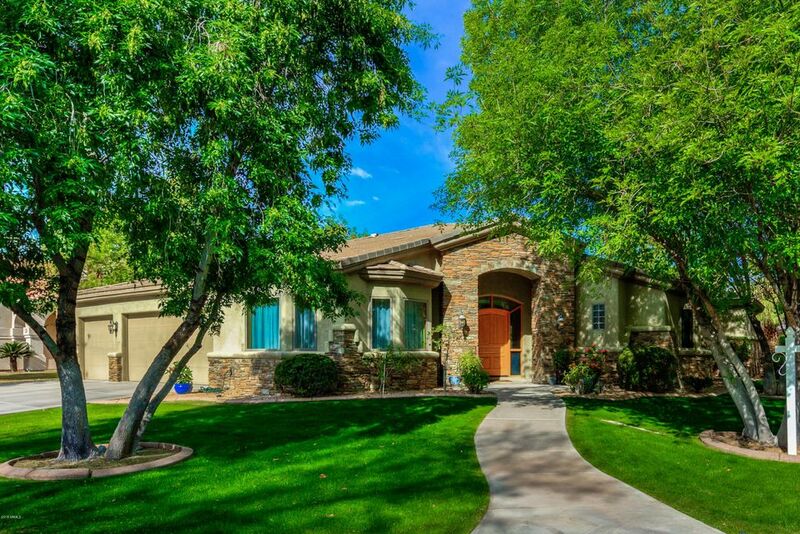 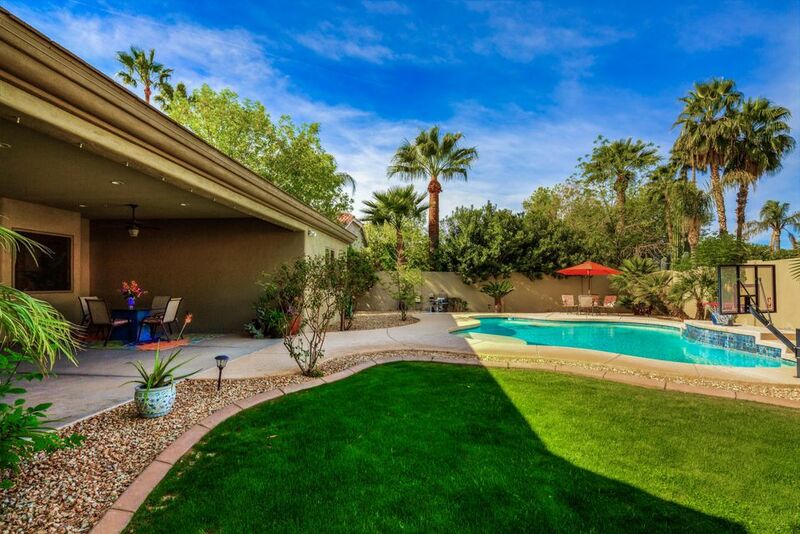 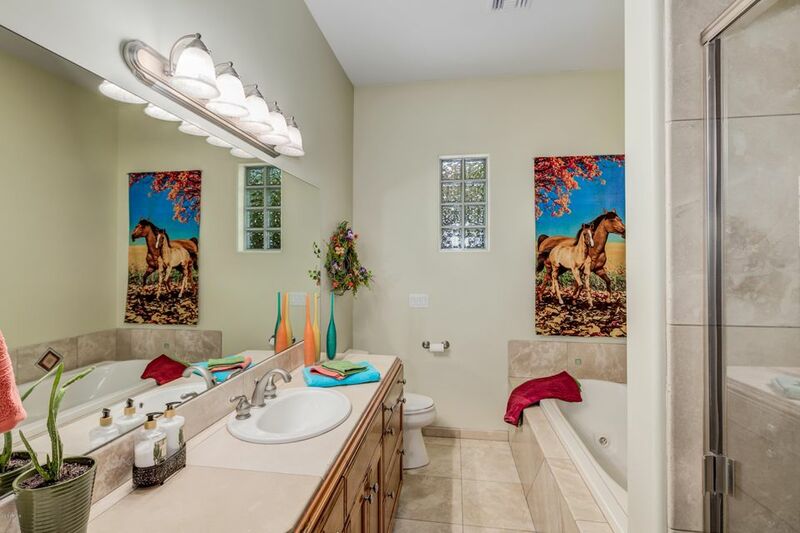 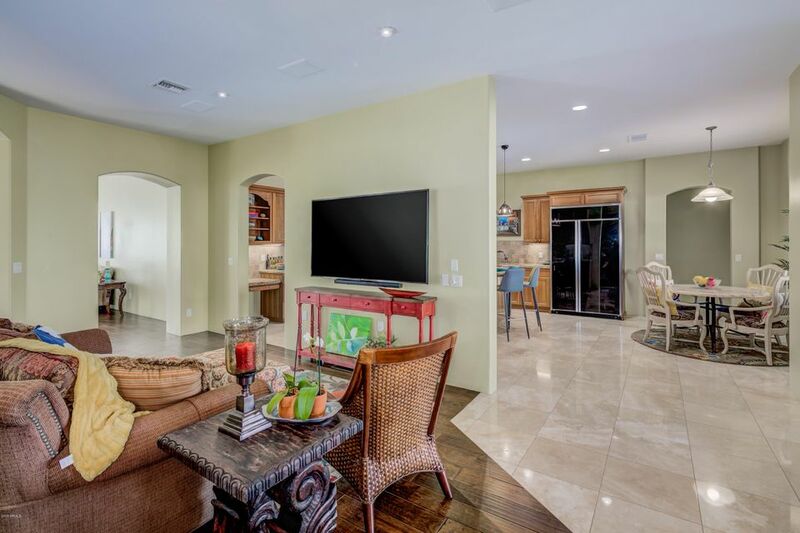 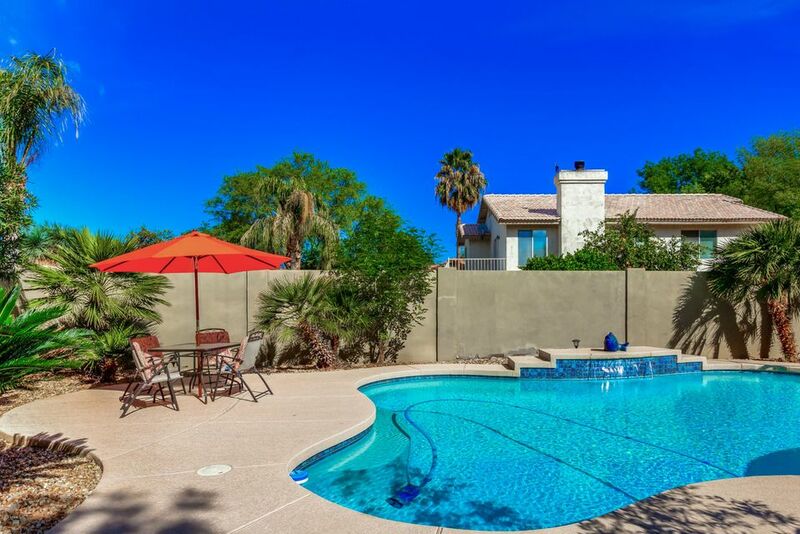 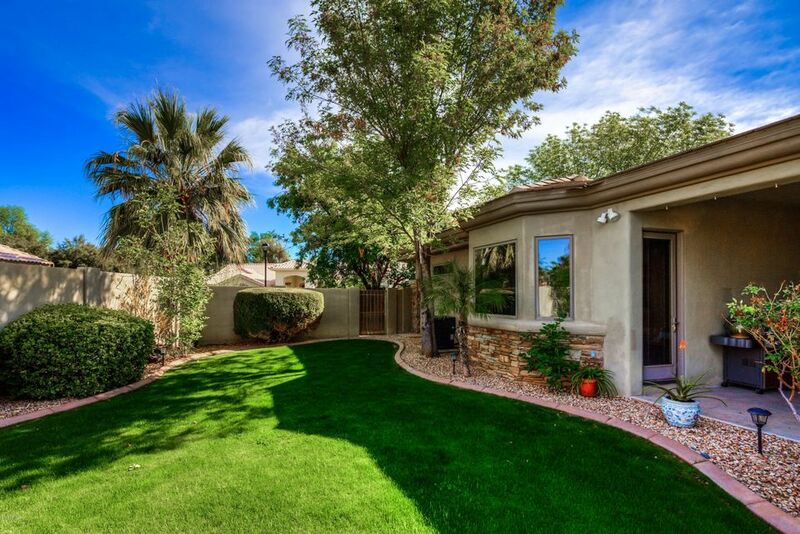 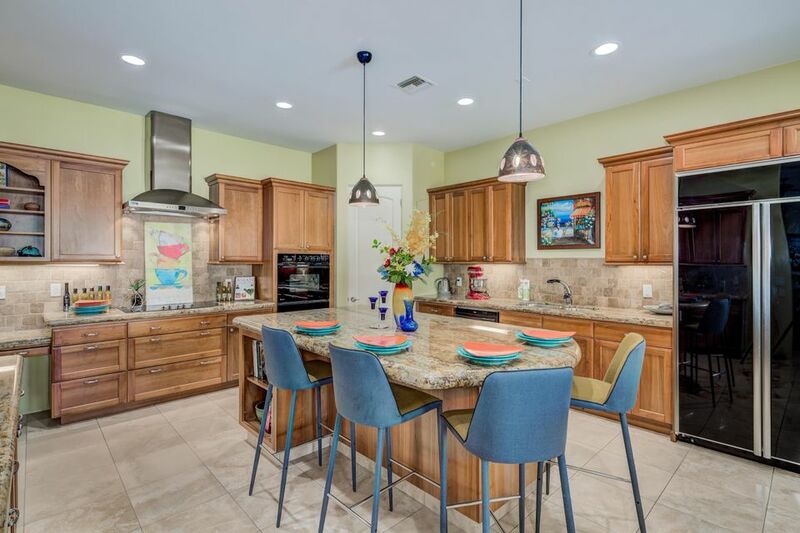 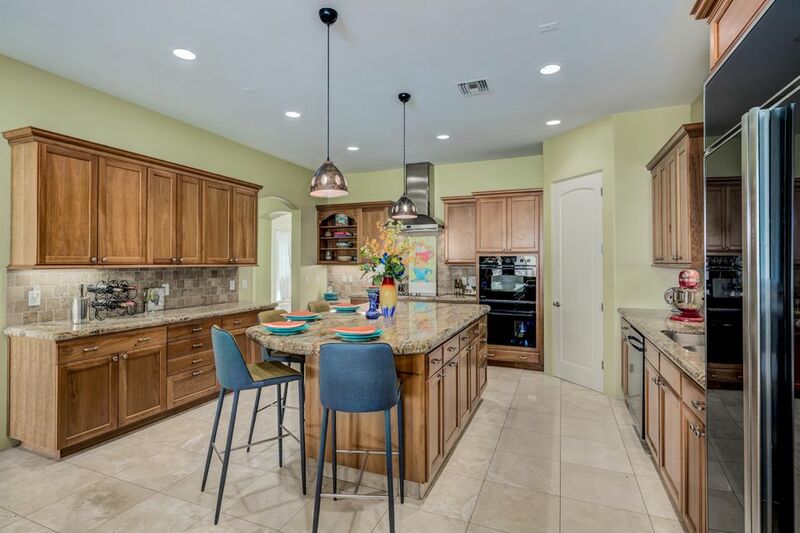 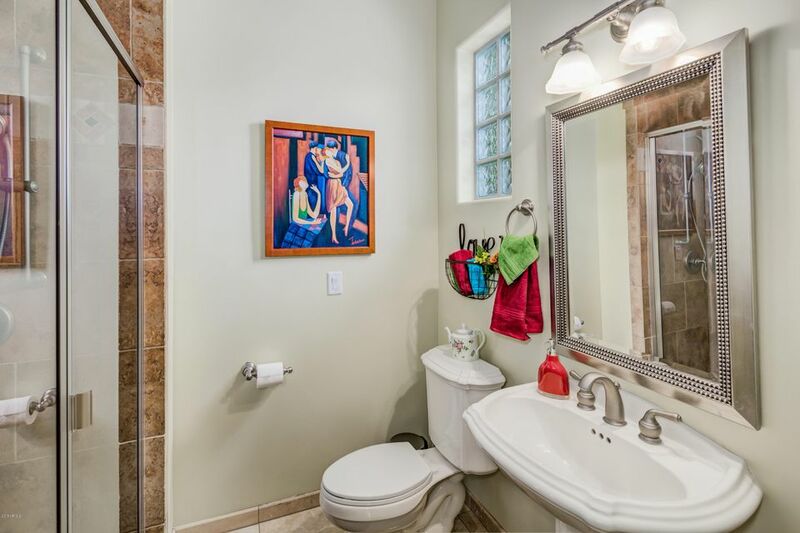 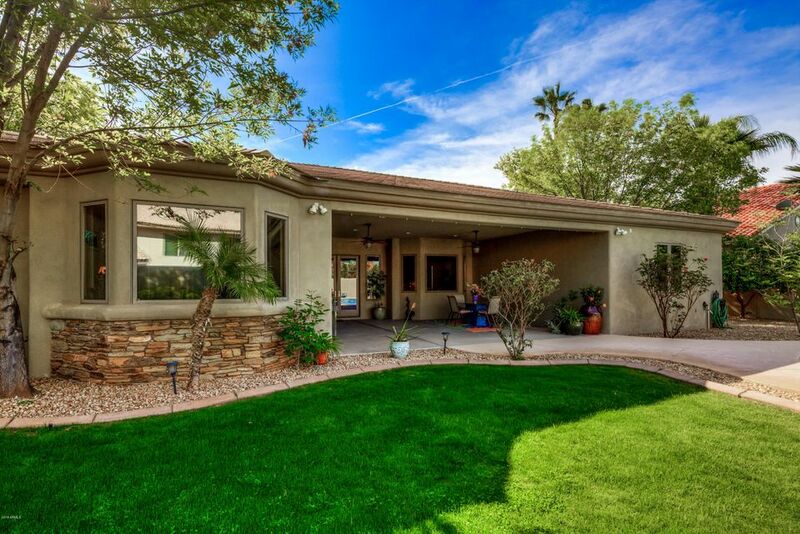 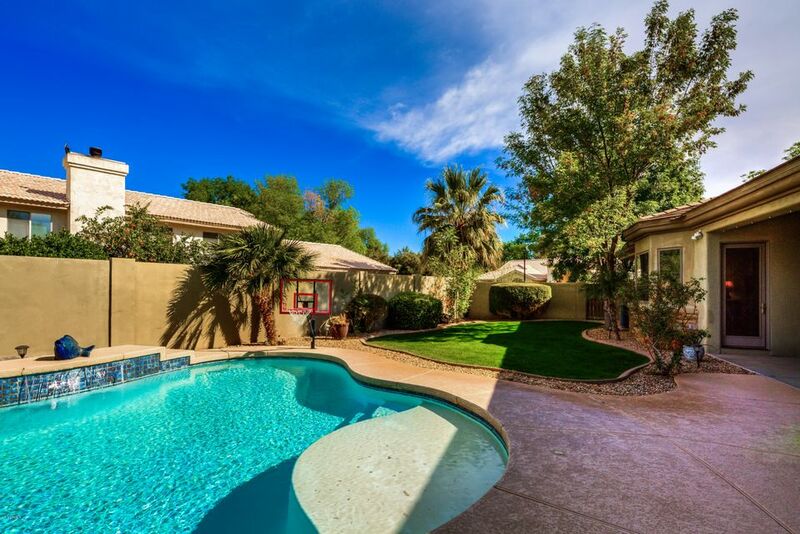 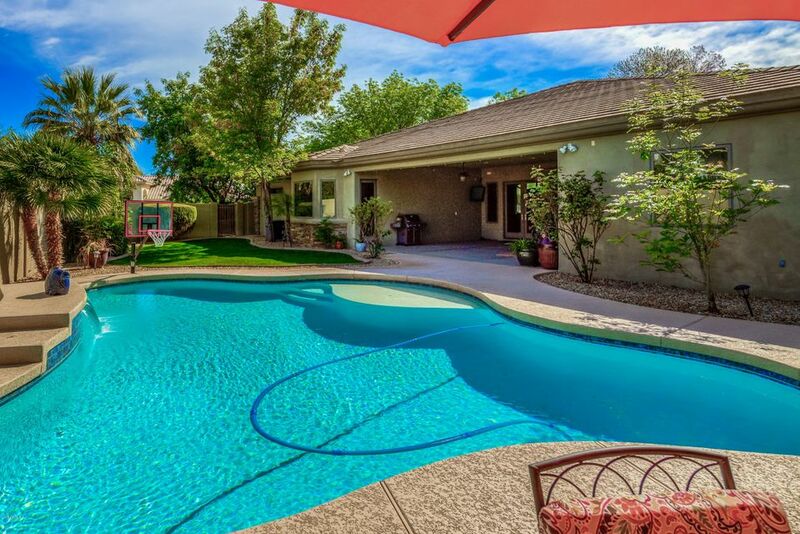 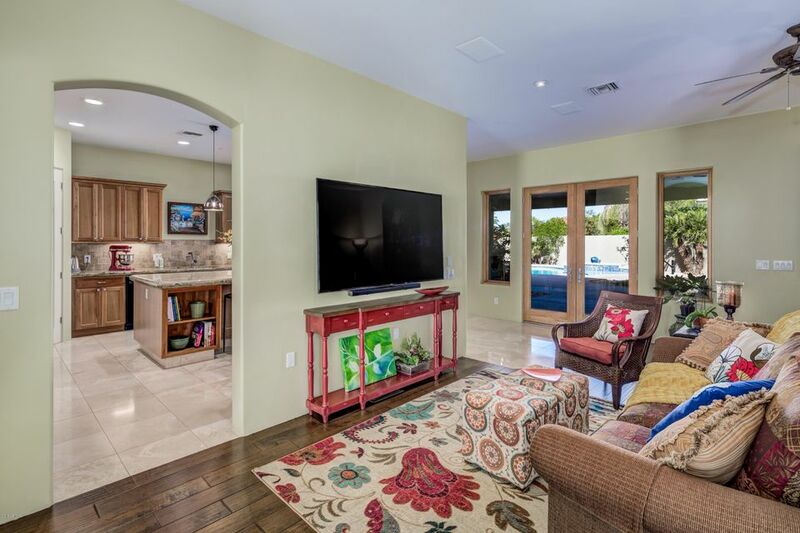 This stunning 5 bedroom, single-level home is located in the gated community of Graystone in Tempe. 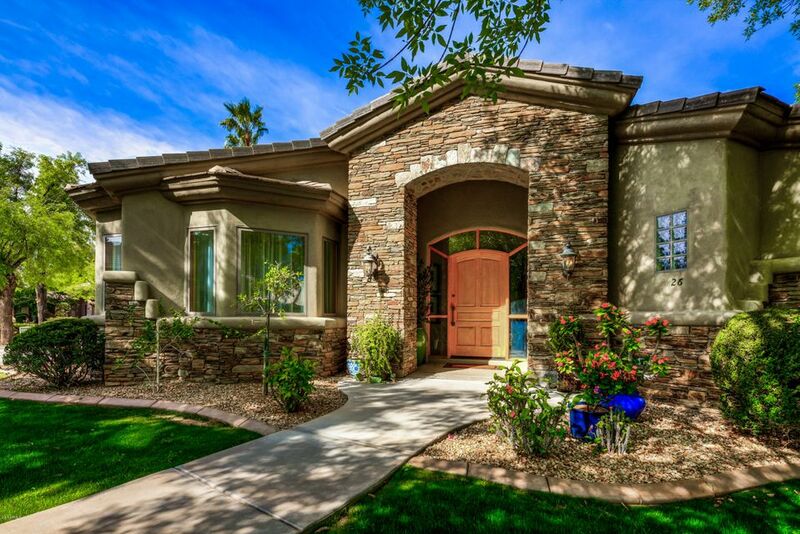 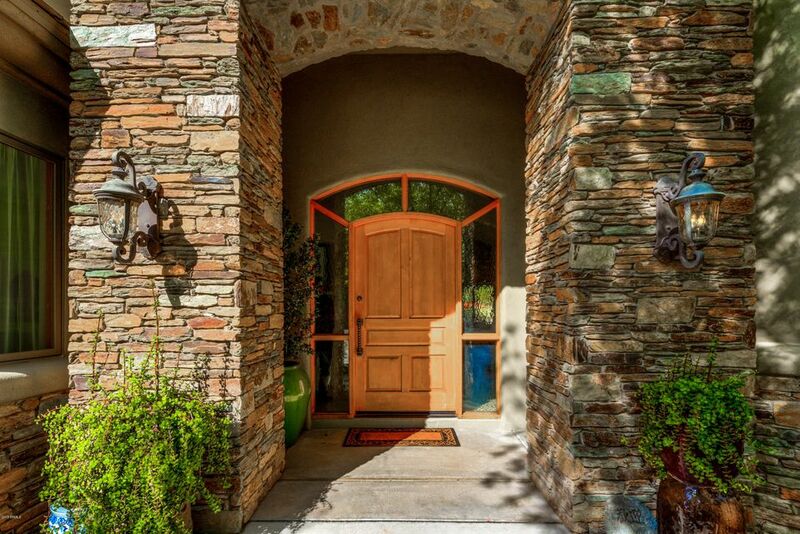 Upon arriving, you’ll immediately notice the curb appeal enhanced by a side-entry garage and stone front. 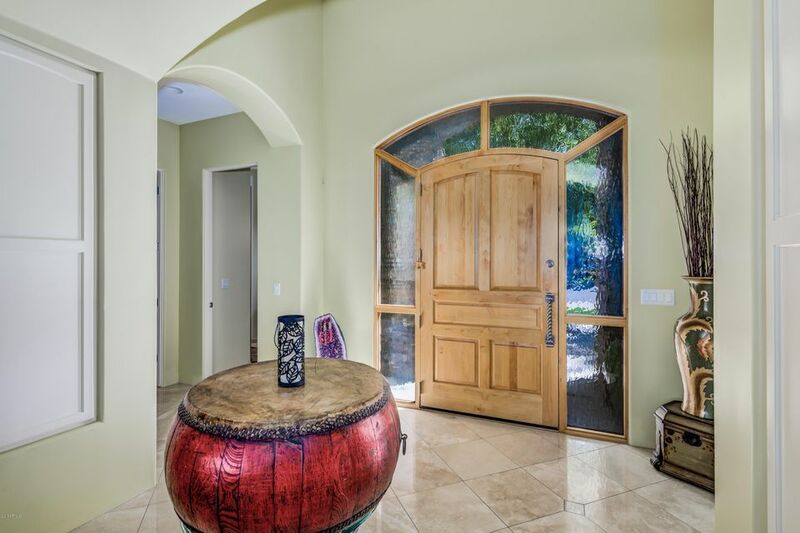 Enter through the large wooden front door surrounded by beautiful glass inlays, and find yourself in the stunning foyer with beautiful polished floors. 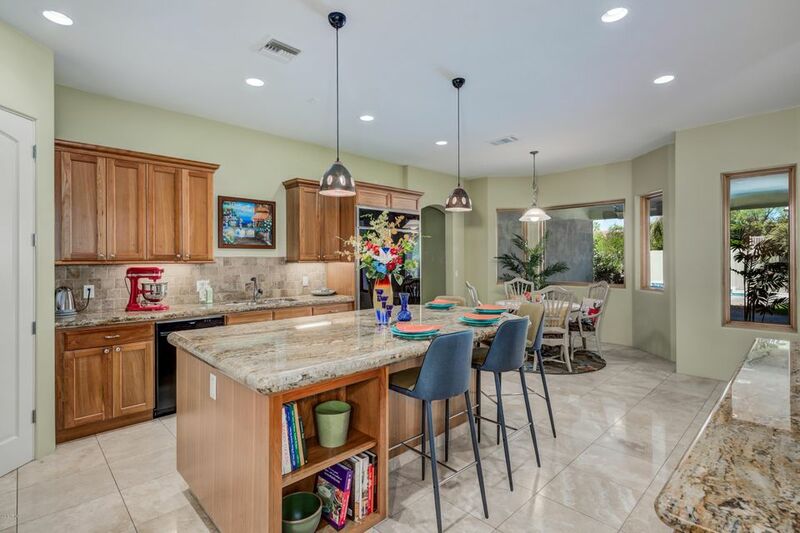 Rich wood floors guide you through the family room into the spacious kitchen, featuring granite countertops, a stainless steel vent hood, and perfectly sized island with room for barstools. 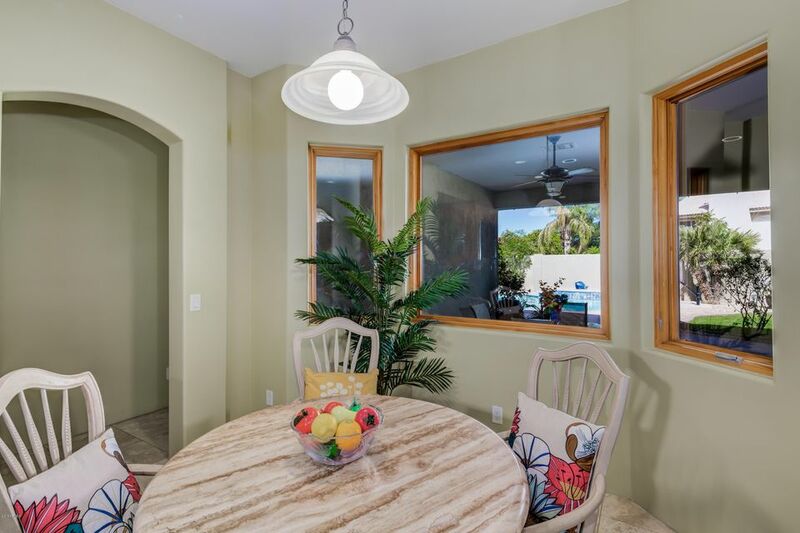 Enjoy breakfast in the eat-in kitchen, surrounded by bay windows for tons of natural light, with a serene setting overlooking the grassy backyard and large covered patio. 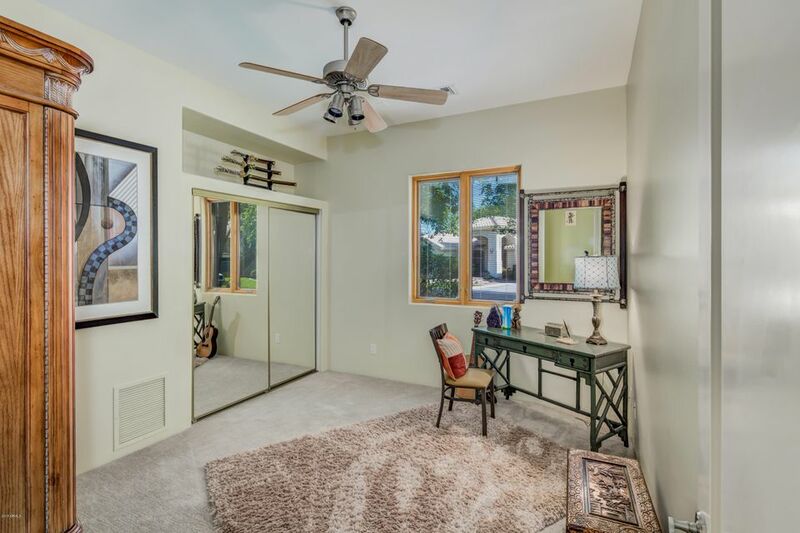 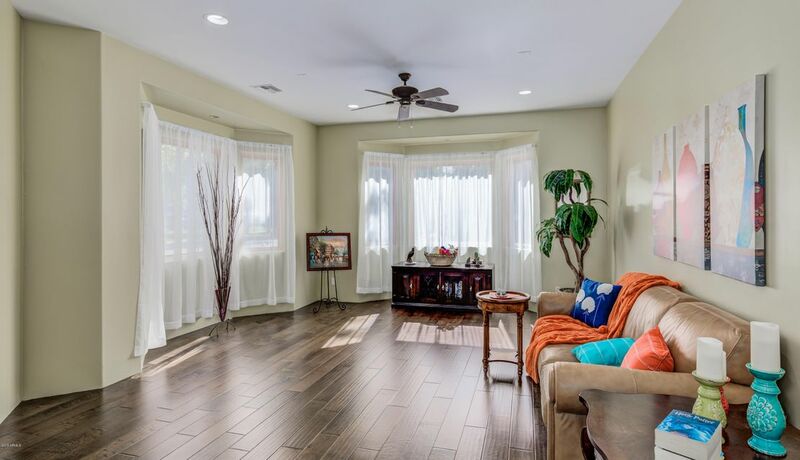 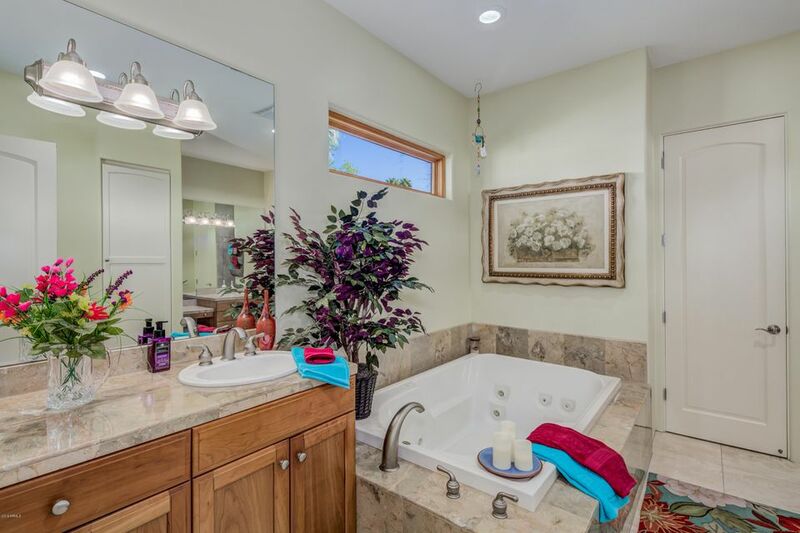 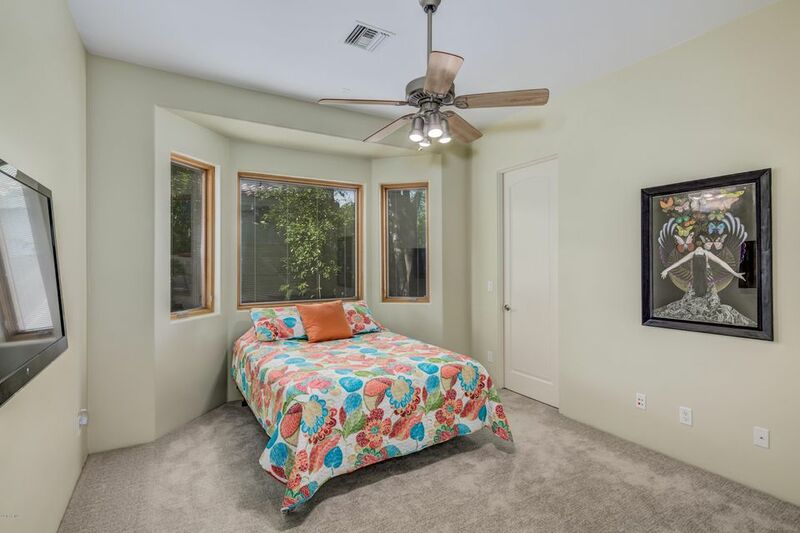 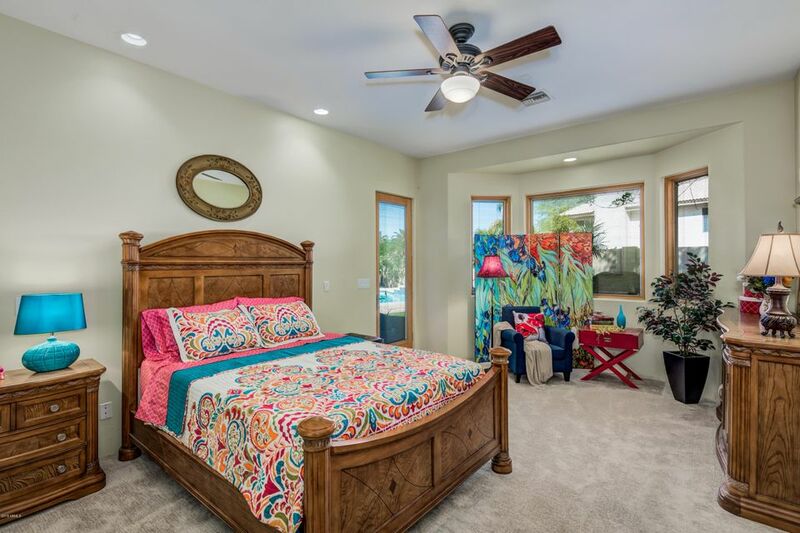 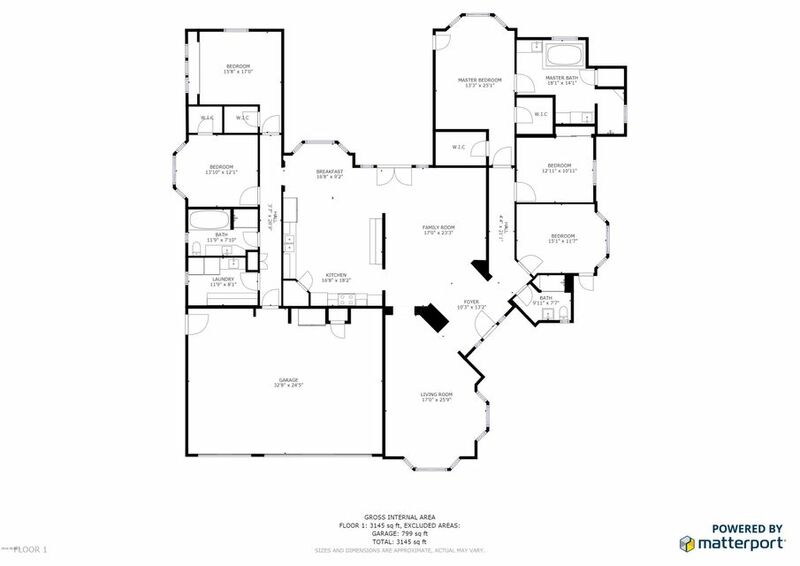 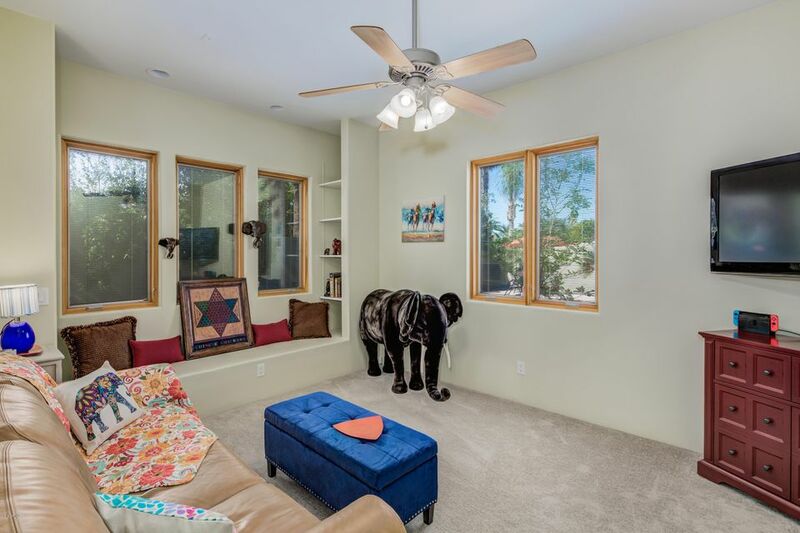 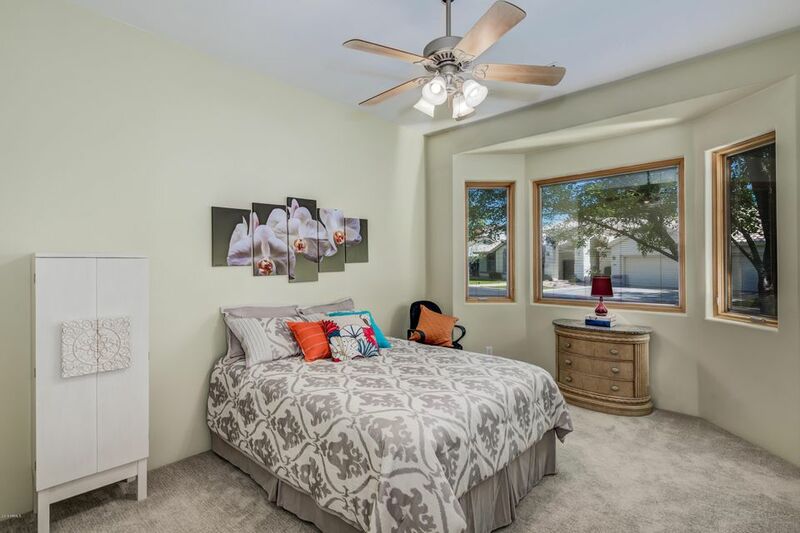 This popular floorplan offers ample living spaces and storage, in addition to the master retreat with sitting area, walk-in shower, and separate exit to the backyard. 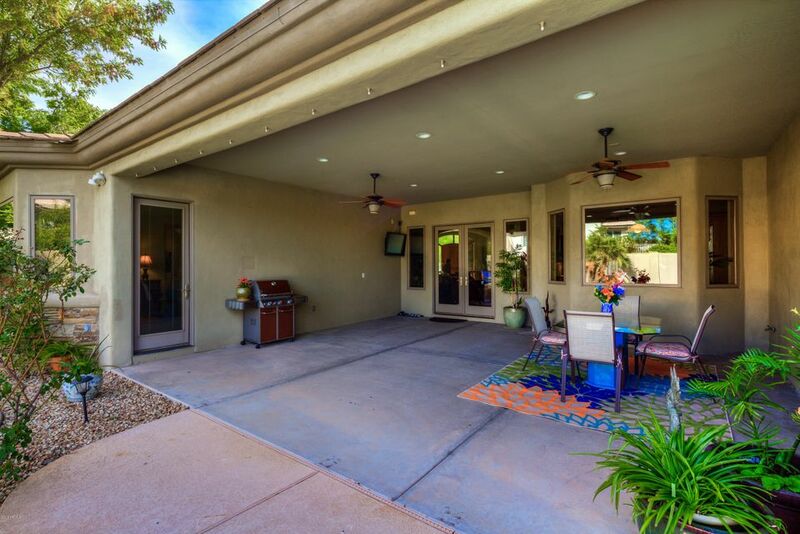 Enjoy Tempe’s beautiful weather and sunsets while relaxing to the tranquil sounds of the water feature and staying refreshed under the commercial-grade misting system!